I am aware that All Saints church, Belton is listed but know for a fact that a chunk is missing. (camera techinical problems at the time I beleive) Please, if a volunteer is within spitting distance I would love the section behind the church to be photographed. 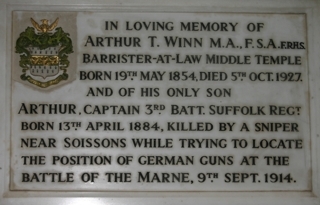 When did Arthur Winn senior die?